Mac's has a hot new coupon coming up! 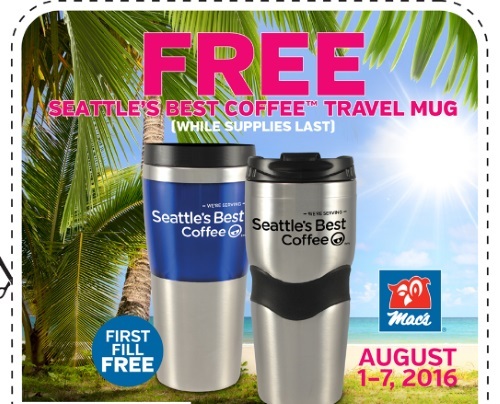 Get a Free Seattle's Best Coffee Travel Mug with the coupon below! First fill is free too! Coupon is valid August 1-7, 2016 valid at participating Mac's locations in Ontario.